Did we call this a mess? It is. As such, it needs a cleanup. It would be difficult to overstate the significance to the Northwest of last week's flaming attack by the federal Department of Energy upon this region's key broker of cheap electricity, the Bonneville Power Administration. In so many words, the DOE's Office of the Inspector General declared BPA to be a rogue DOE unit that defies federal law and then lies about it. The immediate subject is the exclusion from BPA's hiring process of military veterans, who deservedly won support when Congress told federal agencies years ago to give to veterans every best chance at winning the next government job. Federal investigators found BPA went so far as to redefine job qualifications and repost jobs after reviewing candidates to eliminate veterans and others among them. Facing federal review, BPA then apparently tried to hide its practices by removing documents from its own files. Bottom line: BPA, with 3,100 employees, had been hiring whom it wanted and how it wanted by ignoring federal hiring policies, which happen to be the law. Among other things, DOE's inspector general has ordered BPA to review 1,200 hirings and more than 20,000 candidates for those hirings at a cost to exceed $3 million, likely a low estimate and certainly to be paid by ratepayers. This will be an ongoing, rueful mess. The larger subject is BPA itself, however, and whether it can remain a federal agency that puts Northwest concerns first and avoids being just another field office taking direction from a massive Beltway-based bureaucracy. BPA accounts for 20 percent of DOE's workforce. But it has a privileged portfolio among DOE units in that Congress passed laws decades ago allowing BPA to be self-financing, rather than taxpayer supported, as a marketer and distributor of abundant electricity. 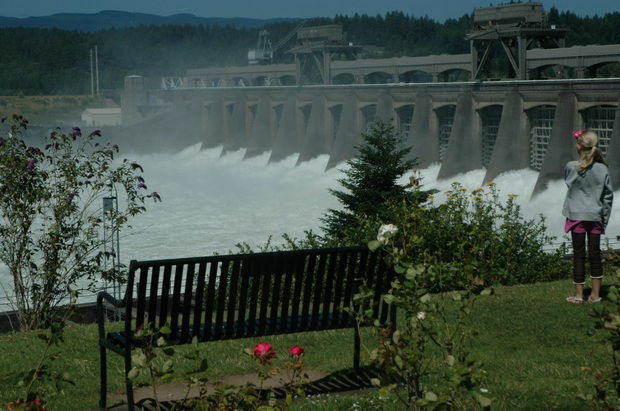 To that end, BPA generates about $2 billion in revenue annually from power it markets and sells to 140 publicly owned utilities from 31 hydroelectric dams throughout the vast Columbia Basin. To that end, evidently, BPA acted in the belief it would bring competitive advantage in its hiring by bringing disadvantage to those favored by the law -- a tragic error. For those who can pinch their noses long enough to look past some stinky internal practices at the agency, BPA has done an impressive job over the last decade in meeting the region's energy needs at low cost and in balancing a massive transmission system. Like so many unseen public works, things are taken for granted as long as the lights turn on. The agency also underwrites much of the effort to recover native runs of Columbia Basin salmon, in partnership with Northwest tribes mounting the largest wildlife stewardship in American history. We don't wish for those things to change. Neither does Oregon Sen. Ron Wyden, who talked last Thursday with DOE Deputy Secretary Daniel Poneman about the path forward. While Wyden was clear BPA must rectify its hiring mistakes, he said he was plain in telling Poneman "it is absolutely imperative" that he and others in the Northwest congressional delegation be a part of any discussions about BPA senior management. That's codespeak for: BPA needs a leadership team attuned to Northwest concerns first, with Beltway compliance assumed. Independence is a celebrated Northwest trait. As a federal agency, BPA has enjoyed a comparatively high level of autonomy, and Oregonians have benefited handsomely. But with the inspector general's latest findings, it seems the autonomy wore a mannerly hubris, a we-know-better-than-D.C. mentality that took the agency over the line into unfair practices. Now the agency's independence is on the line. Steve Wright, BPA's administrator during most of the time period reviewed by DOE, departed the agency in January and last month became general manager of the Chelan County Public Utilities District in Washington state. His successor, Bill Drummond, was on the job for just six months before being escorted out the door and placed on leave pending the federal reviewers' findings. Meanwhile, BPA's chief operating officer, Anita Decker, whose tenure bridged both administrators, remains on suspension. Did we call this a mess? It is. As such, it needs a cleanup. Going forward, BPA needs new protocols that align its best competitive hiring practices with offering advantage to military veteran candidates and showing transparency throughout. Our veterans deserve better, and BPA should know better. But BPA must continue to be an independent-minded, competitive energy broker while fulfilling federal compliance measures and legitimately answering up to hard scrutiny from DOE. Wyden and others in the delegation can help. For now, however, we take on face value the conciliatory assurances issued last week from interim BPA administrator Elliot Mainzer, widely respected since joining the agency in 2002, that BPA will set things right without enormous disruption. Oregon and the Northwest depend on it.